I was dreading staying here after reading some of the reviews but it was actually fine. Bed was clean and comfortable. Nice location, and comfy bed. Nothing fancy, but I liked the place and the staff was helpful. Convenient location close to the medina in Tangier, where the more interesting sights of the city are found. Despite arriving late in the evening, we were greeted by a friendly man who was eager to ensure we had everything we needed, despite his limited ability to communicate with us (a few words of Spanish and some basic French). 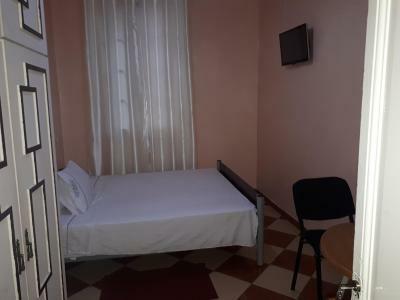 A little on the basic side (the room had beds, basin, wardrobe and TV that we didn't use) and we had to use a single toilet and shower shared by all rooms on our floor, but the price was reasonable and we would have paid more elsewhere if we'd been looking for luxury. It was close to the Medina, and easy to find. The WiFi was okay for Morocco. we had booked a room without shower, but got the choise to take the 4-bed-room with hot shower. very convenient. there is a big balcony/terrace. 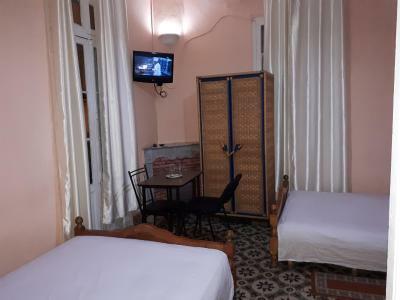 hotel is located very near the medina and a shopping area with a lot of local people and restaurants. also walking distance to the beah is about 10 minutes! owner was very friendly and helpful. Very nice host, even though he did not speak English we managed to communicate mixing Spanish and signs. He was very understanding about payment (we arrived at night and had no currency with us) and allow to pay the next day. The location of the pension was very attractive, few minutes from the old market (Ancient Medina) and the city centre. The WiFi was surprisingly good. Very nice place, and location is also very great. It is on a hill, so air is much more fresh, than in downtown near the market. But it is just in 5 minutes walk from the old town and sightseeings. Set in Tangier, less than 0.6 miles from American Legation Museum, Pension Safari offers a terrace and shared lounge. 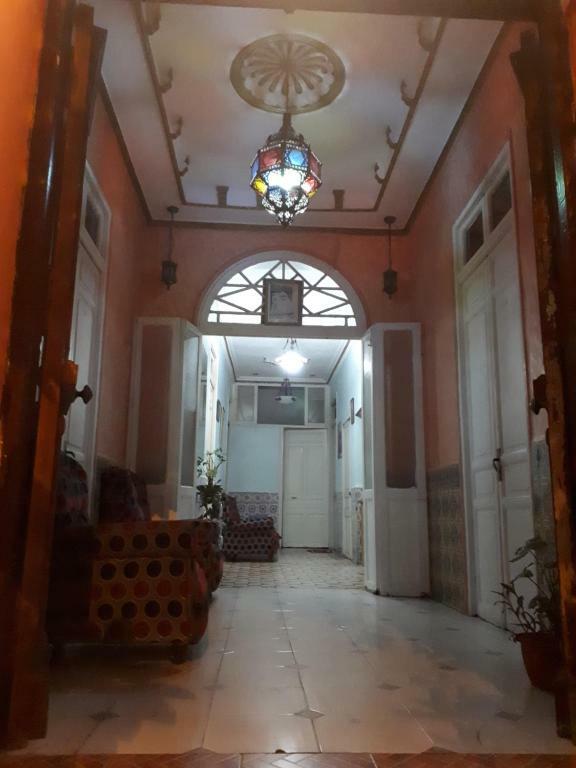 A 19-minute walk from Dar el Makhzen, the property is also 1 miles away from Kasbah Museum. The accommodation provides a 24-hour front desk, airport transfers, a concierge service and free WiFi. The units in the motel are equipped with a flat-screen TV with satellite channels. Pension Safari features certain units that have a balcony and garden view, and each room is equipped with a shared bathroom and a desk. All rooms include a wardrobe. Forbes Museum of Tangier is 1.3 miles from the accommodation, while Ibn Batouta Stadium is 4.3 miles away. The nearest airport is Tangier Ibn Battouta Airport, 8.1 miles from Pension Safari. Pension Safari has been welcoming Booking.com guests since 19 Sept 2017. When would you like to stay at Pension Safari? 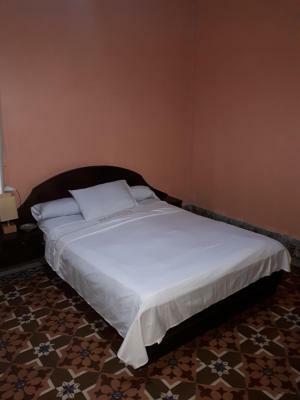 This single room has a private entrance, tile/marble floor and dining area. Public parking is possible at a location nearby (reservation is needed) and costs EUR 1 per day. 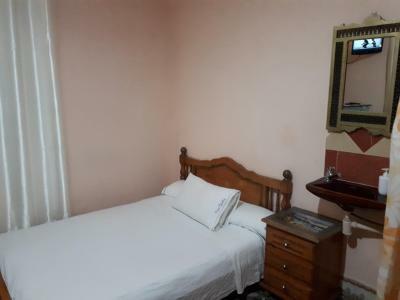 This double room has a dining area, private entrance and tile/marble floor. House rules Pension Safari takes special requests - add in the next step! The shared bathroom ran out of toiletpaper often and the hot water in the shower lasted for only two-three minutes. Staff speaks barely any English and only a little more French. Communication was difficult. Hotel could be cleaner. Boiler needs to be turned on before a hot shower is possible, we weren't told and took cold showers. Nice looking hotel in good location. Wifi worked mostly. 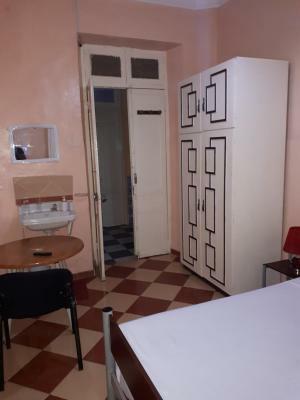 Poor mannered staff, very unwelcoming, not clean at all, the worst place I’ve slept in a long time, not the promised tv in the room, no toilet paper. There was no light in the room. Well, there was a bulb, but it was dead. The sink wouldn’t turn off. There was no toilet paper in the common bathroom. I couldn’t find the shower at first. I had to ask at the desk. Oh, and the wifi didn’t work. The staff was pretty rude and shortchanged me. Study Arabic before you go. The desk clerk didn’t speak French or English. Avoid this place. Bug bites, sewage smell, nasty bathroom. Neither the room not the toilette room doors would close completely NOR would they lock. Unacceptable place. Nothing about Pension Safari is acceptable. Bug bites from this establishment still healing after four weeks. A terrible place to stay. 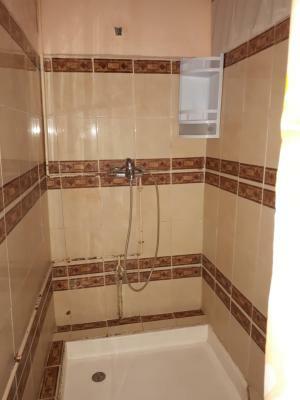 The shared bathroom could not be locked, and the door to the room could be locked only from the outside. There is nothing to recommend this property. The overhead light was out and a lamp substituted, so room was a bit dark at night, but sunlight through the windows more than compensated. Our host was very helpful. Great service!